There are several Knit & Chats this December and a cookie exchange. Since we are all busy finishing Christmas knitting and thinking of what we will start for ourselves after the holidays, I will list the month's worth of events to help you keep organized. If you ever want to look ahead remember to check the calendar (click the link above under the logo). Friday December 11: Knit & Chat at the Urbandale Library from 10-noon in the conference room. Sunday December 13: The DMKG annual cookie exchange 1:30 –3:30 pm at Shauneen Linton's house - 1503 Center St. Des Moines. If you want to take home a sampling of cookies, you need to bring 3 dozen to share and exchange. Please come and knit even if you don't want to exchange cookies. 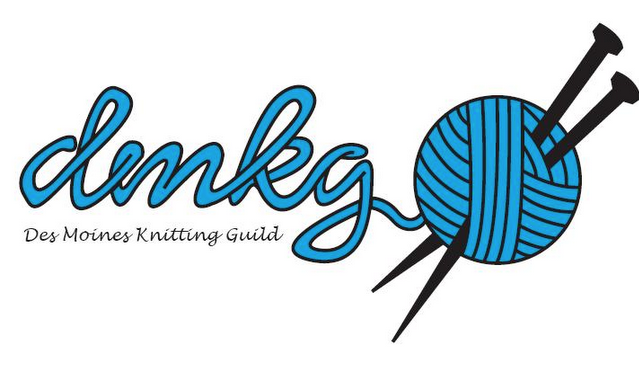 Monday December 14: Knit & Chat at the Franklin Library from 10-noon. Thursday December 17: Knit & Chat at Gateway Café from 6-8p.m. Friday December 18: Knit & Chat at the Urbandale Library from 10-noon in the conference room. Thanks to the Christmas Party Committee for another wonderful party, fun gift bag and great food. You all did a wonderful job!